Usually I do marketing but yesterday, I worked a shift at our West Broad Street thrift store on our 50% off sale day. These sale days can get crowded and even chaotic so I was both nervous and eager to better understand the day-to-day operations of our stores. 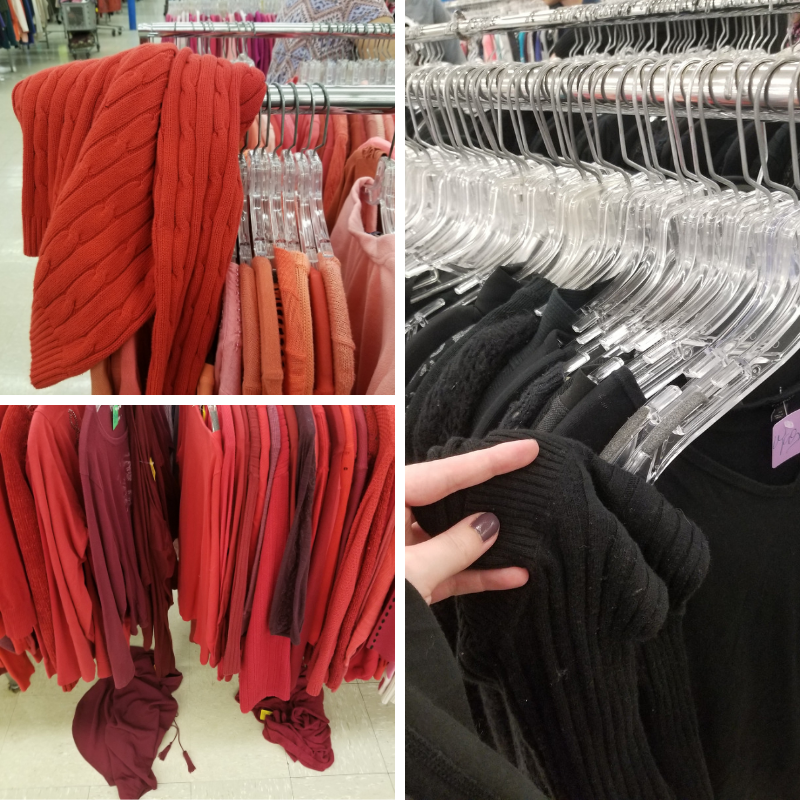 It was refreshing to get away from my computer screen and dive head first into the fast-pace excitement of our thrift stores. After hunting for a parking spot for a while, I arrived and went to the back production room. Right as I was about to learn how to sort donations, I was called up to the front to be a Bagger. I went to the register by the Showcase and began to help Brandon, a cashier who has been at Volunteers of America for over seven years. Over the course of two hours, we perfected our system: I’d call out the price of each item, bag the item, remove the security tags, and give the items back to the customer. Rather than get intimidated by the long line at our register, we focused on the customer in front of us and did our best to quickly and accurately check everyone out. After lunch, the store began to calm down. 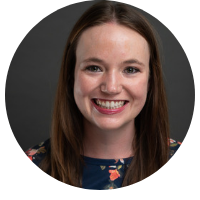 I embarked on Recovery with Amber, another seasoned employee who has been with the organization for over seven years. Recovery involves going through the aisles of clothes, looking for clothes on the floor or strewn over the racks. I admit this cleanup was frustrating to me because it felt like as soon as I straightened up an aisle, I’d see another aisle that was a pigsty. There was always something to clean, fix, move and organize. A lot of clothes fell off their hangers so it was a constant struggle to get these shirts to stay attached to their hanger. My type-a personality had to take a backseat. Recovery is what we call cleaning up the racks. We look for clothes that are over or under the racks and hang them back up. Next, I shelved a cart full of books, records, DVDs, and VHS movies. 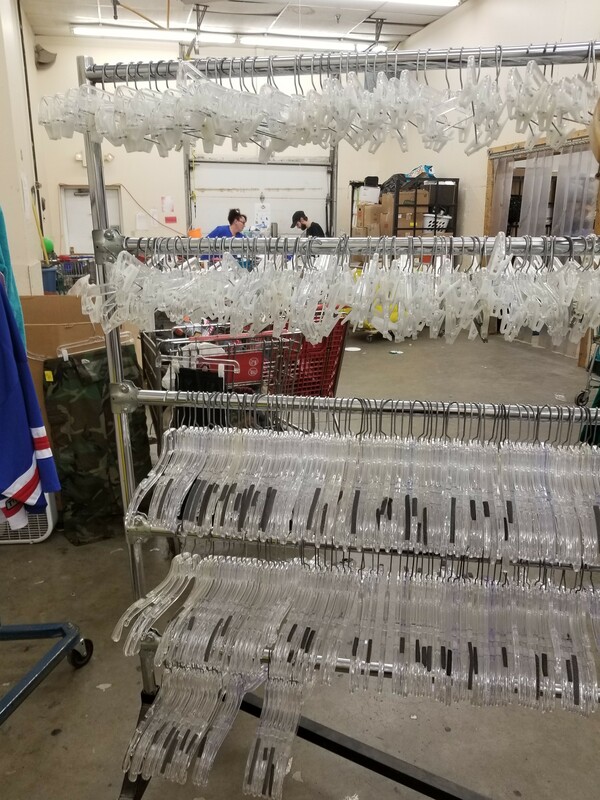 These donations had just been processed, priced and were ready to go out onto the sales floor. This task reminded me a lot of when I worked at Barnes and Noble and would shelve books all day. Except, these thrift store books were only sorted by paperback and hardback. And, the store was a lot more crowded. 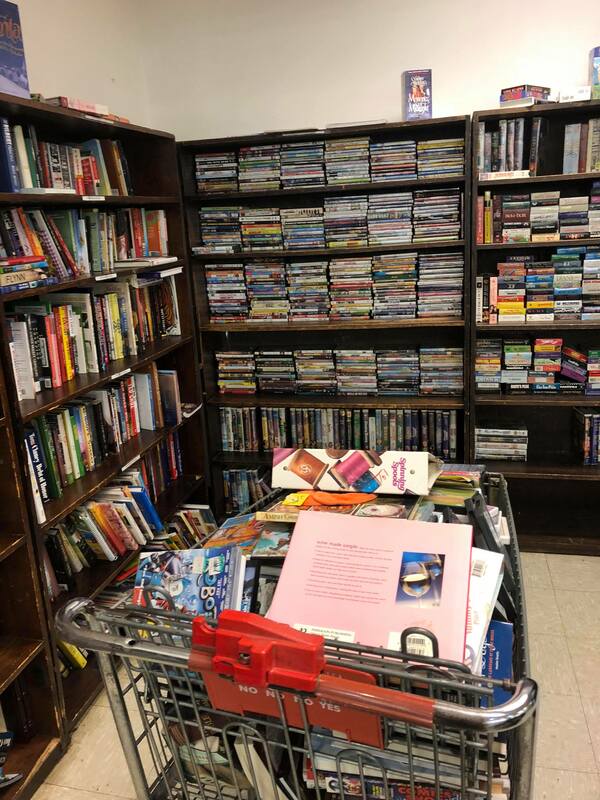 It was a little stressful to be trying to shelve things when a customer was rifling thru my cart and another person was browsing right where I needed to shelve my DVDs. I shelved this cart of books, vinyl records, DVDs and VHS movies. Later in the afternoon, I moved empty hangers from the front of the store to the back production room. This sounded like an easy task but proved difficult when aisles were packed with thrift shoppers browsing the racks. We have this tall rolling cart with a couple rows of hangers and if you’re not careful, it can accidently hit someone. After rolling my third cart, I found a balance of pushing the cart while remaining aware of the customers around me. These tall rolling hanger carts are difficult to maneuver through the aisles. After my shift, my legs were sore from standing all day and moving around so much. I usually just sit in an office all day so this was a shock to my body. Reflecting back on my shift and thinking about my role, I realized that we in the Marketing department should work on creating signs that say “Today everything is 50% off” because multiple people asked me why the store was so crowded. I just assumed everyone knew that the last Tuesday of the month is sale day. I learned that our store managers are very focused on their budget, hours, sales and production numbers. All of the managers analyze the previous year’s sales on that same day, add 4% to that number, and map out their sales goals. I enjoyed the experience because it was one small step forward to eliminating the silos in our organization. Too often our program staff, admin staff and thrift store employees are separated from each other. We all work for Volunteers of America and are all one team. 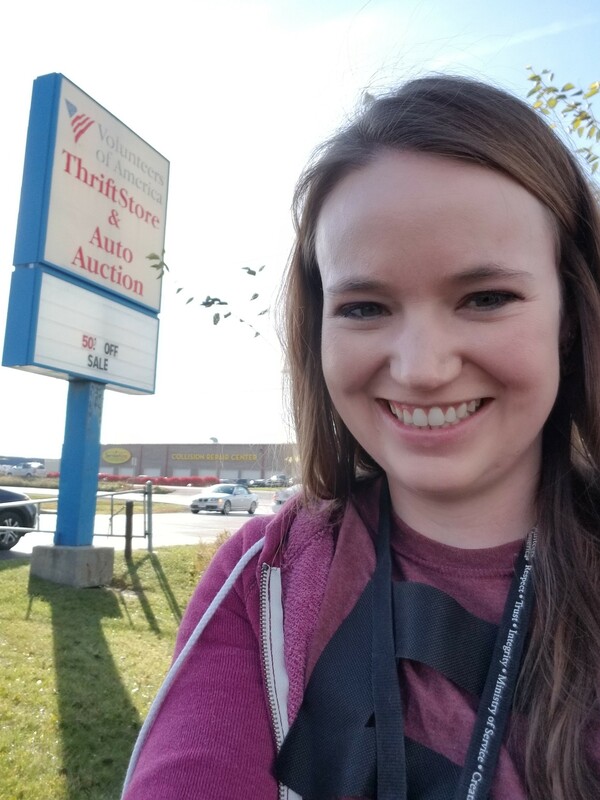 Down the road, I would love to help implement a program where more staff members pitched in to help in the thrift stores on sale day.